This article about a landlord being sued for negligence due to a tenant’s fall in their apartment has been supplied by Sophia Jiang, Omega Legal. Landlords and their managing agents are already suffering from the rental losses in the current property market. The last thing you need to worry about is being sued by your tenants for negligence. The recent case of Than v Galletta & Ors  NSWDC 9, is a stern reminder (that comes with a more than $330,000 price tag) to stay on top of periodic inspections and maintenance and repair works on your premises to avoid being sued for negligence by your tenant. Who has a duty of care to a tenant – the landlord or the managing agent? Can the managing agent rely on their managing agency agreement? If the landlord escaped full liability – why does the case still matter to landlords? In Than v Galletta & Ors, the plaintiff rents an apartment that has an internal stairwell in the common area. The apartment is owned by the landlord and managed by the managing agent. The light fittings located in the stairwell were malfunctioning on the night of her fall, causing her to misplace her footing and she consequently sustained a serious foot injury. Over the three months leading up her accident, the plaintiff made two complaints to her managing agent, stating that “the light in the stairwell is out again. It’s dangerous walking through the stairwell at night as we can’t see anything.” The managing agent engaged an independent contractor to fix the lighting after the first complaint. However, the lighting stopped working again so the tenant made a second complaint, about a month before her accident. The managing agent failed to inform the landlord of the second complaint and did not take any adequate steps to rectify the issue. Both the landlord and the managing agent have been aware of a history of the light fittings malfunctioning but neither of them investigated the issue until after the plaintiff’s fall. According to Than v Galletta & Ors, the landlord and the managing agent both have a duty of care to the plaintiff and they have breached the duty. The landlord breached their duty of care by failing to make enquiries with the managing agent as to the cause of the lighting problems after the first complaint. The court found that a landlord cannot fully delegate all of their inspection and maintenance obligations to the managing agent if the landlord has a discretion to approve all non-emergency maintenance and repair under the managing agency agreement. Similarly, the managing agent breached their duty of care by failing to take steps to deal with the risk posed by the unlit stairwell, despite knowing its problematic history and having received two complaints from the tenant. Usually, there is an indemnity clause in a managing agency agreement that allows the managing agent to be indemnified by the landlord for claims in the course of or arising out of the proper performance or exercise of the managing agents’ powers, duties or authorities under the agreement. The indemnity clause did not operate in Than v Galletta & Ors because of the managing agent’s failure to properly perform its contractual obligations, which include attending to the repair of the light fittings in a timely manner. Luckily for the landlord, there were various factors that influenced the court’s decision to apportion 100% of liability to the managing agent and 0% to the landlord. However, this case still reminds all landlords to take every care possible to manage and respond to maintenance requests from their tenants. After all, can you really afford to lose a tenant in this current market? Is it worth not having a managing agent to manage your property? In this case, the landlord would have been 100% liable for the full cost of damages (more than $330,000), if he managed the premises himself. Ensure that you have the resources to attend to repair requests in a timely manner. Agree on a minimum threshold for repair works before signing a managing agency agreement under which repairs may be undertaken without your approval. If in doubt, specify what repair obligations are assumed by the landlord and by the tenant respectively to avoid dispute in the future. Ensure that you maintain professional liability insurance. Be aware and inform your staff that any indemnity from the landlord under a managing agency agreement is unlikely to operate if the event giving rise to the indemnity is caused by the managing agent. Ensure that you allocate sufficient resources to attend to repair requests in a timely manner. Agree on a minimum threshold for repair works under which repairs may be undertaken without approval from the landlord. Do you have any questions regarding a strata property you own or manage? Contact Omega Legal anytime. We look after the needs of property investors and their agents. 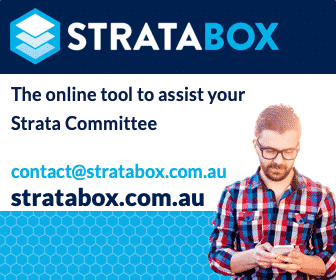 Visit our Maintenance and Common Property OR NSW Strata Legislation pages. @ndibs Good question! However this case did not investigate the liability of the electrician because there was no evidence of what the managing agent had done to satisfy himself that the electrician had carried out the repair work properly. Ultimately, the court found the managing agent was at fault for not following up with the electrician to ascertain the cause of the recurrent lighting problem and ascertain the steps to rectify the issue in a timely manner. Why wasn’t there any liability against the electrical contractor if this was the same luminaire which failed?